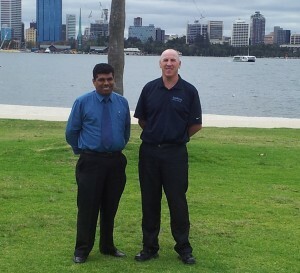 Land Transport Authority (LTA) of Republic of Fiji Islands visited Perth during May. LTA had File Director installed over 4 years ago and now have over 3 million documents stored in the secure document management solution. Rajeshwar Prasad (Manager ICT) from LTA and Richard Allen from Spielberg Solutions meet to discuss the expansion of File Director in Fiji and future projects in the South Pacific Islands. 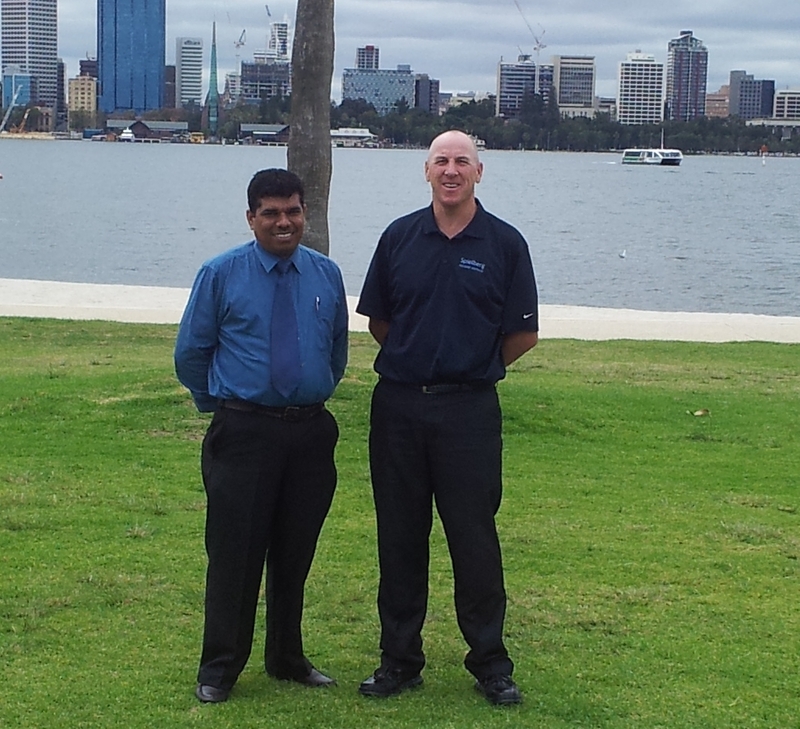 The photo shows Rajeshwar and Richard enjoying the views of Perth city from the South Perth foreshore.